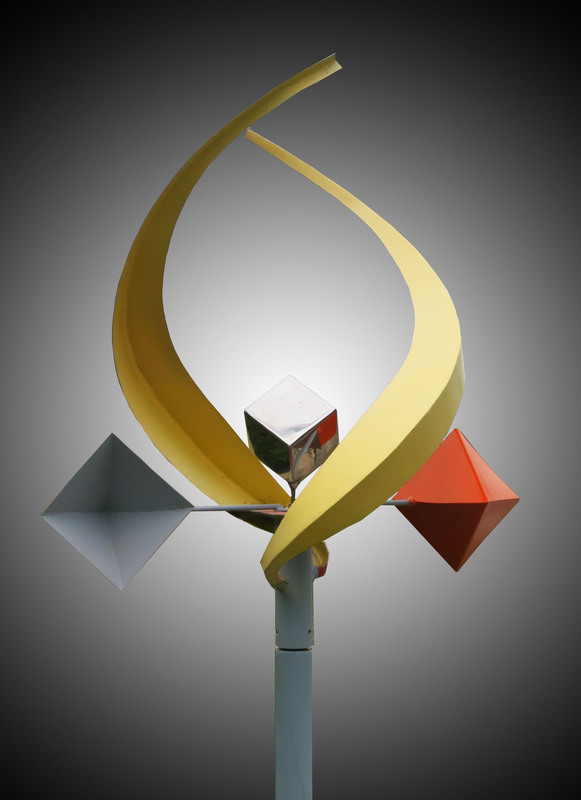 Wind kinetic sculpture. 80 inches tall. 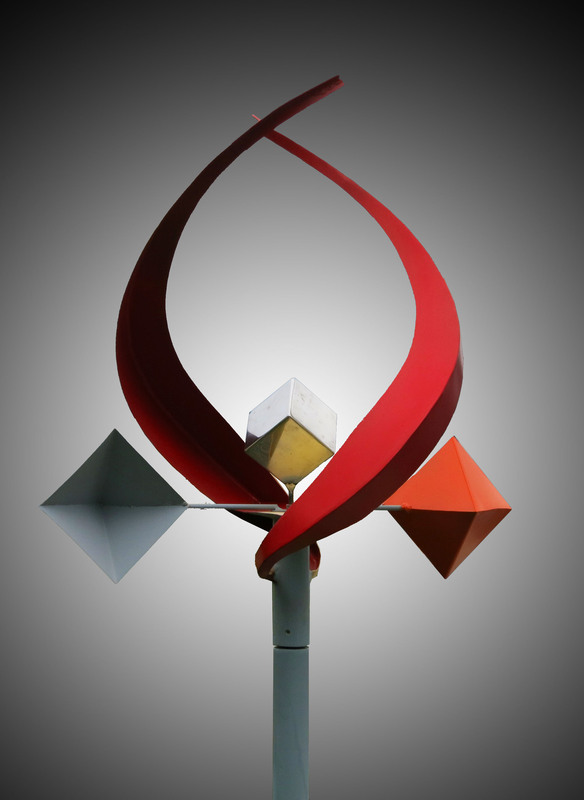 Aluminum and Stainless steel construction with concrete base. Stainless steel sealed bearing movement. Available for $450.